I have always found the public’s reaction to Avengers: Age of Ultron to be kind of curious. When it was released in May of 2015, there was the usual hype but the public reaction was oddly indifferent. Missing was the hyper-active raves from fans that had flocked to Iron Man, Thor and The Avengers. In talking to people, I found a lot of shrugged shoulders. Watching the film again, I tried to figure out why. There is a curious sameness to Avengers: Age of Ultron. By 2015, this series had become the biggest line of hyper-popular merchandise since the Beanie Babies and so there may have been a sense that it was spinning its wheels. The movie made money at the box office but the audience didn’t reaction with the usual fanfare. In revisiting the movie recently I landed on the opinion that this is the movie that I had hoped to get from Iron Man Three. For me, it’s not necessarily an Avengers movie but it’s really an affirmation that the road to Hell is paved with good intentions. Tony Stark is one of the most human of the superhero cannon – he’s as flawed as he is brilliant. Here he comes full circle with his impulses. After a vision of the dark future in which something has laid waste to mankind, he decides to build a global defense system . . . which of course comes to life and tries to wipe out humanity. 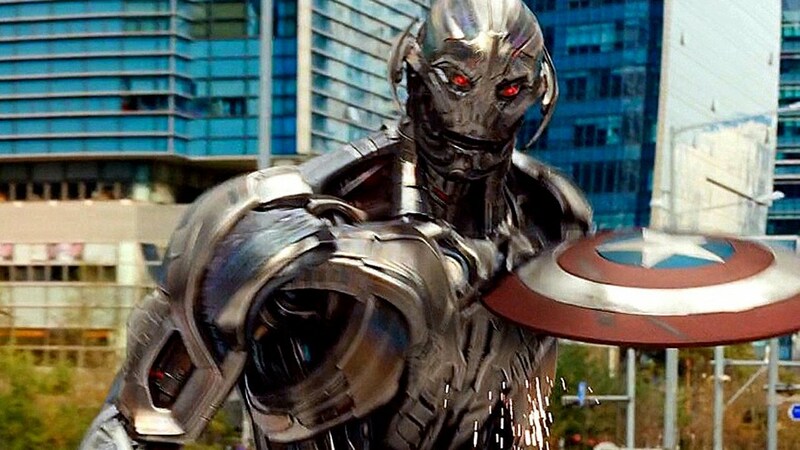 The result is Ultron, a sentient being that Stark can’t seem to turn off. The kind of human touch is, for me, more interesting than all the trash and bash special effects in the world. It brings the story home and gives us something more than just a special effects show. It also shows that Stark is the most interesting of the Avengers because his flaws don’t come from his abilities nor from daddy issues but from his own hubris. But to return to the issue, I’m not sure why the audience didn’t take to this film like they did the previous Avengers movie. Maybe the flaws in Stark’s character were a turn-off. Maybe, again, the movie felt like more of the same. For me, I didn’t think so. This is the story of a flawed and difficult man coming to grips with what he has wrought upon the world.